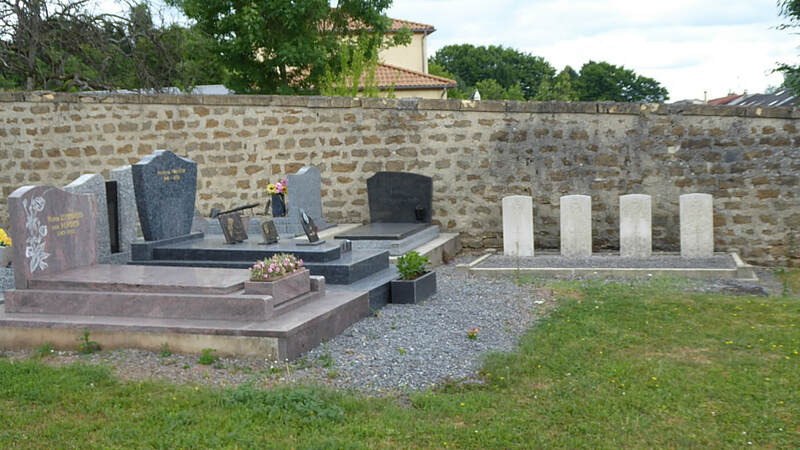 Fleigneux is a village near the Franco-Belgian border. It lies 17 kilometres east of Mezieres and 6 kilometres north of Sedan. 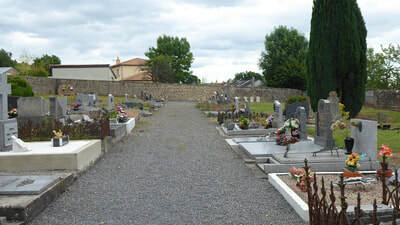 The Communal Cemetery is in the northern part of the village on the road to the border. Against the wall, near the southern corner, is the collective grave of four airmen of the Royal Air Force. 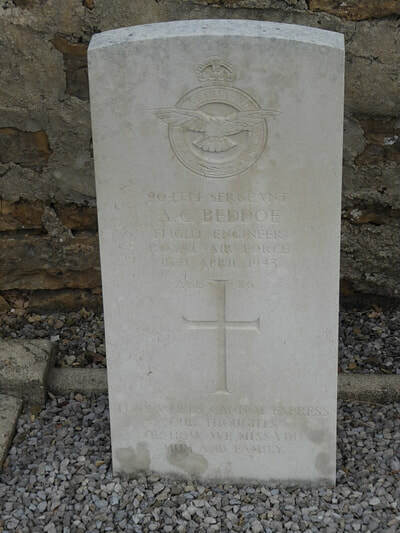 904734 Sergeant Anthony Claude (Tony) Beddoe, Flight Engineer in 35 Squadron, Royal Air Force Volunteer Reserve, died 11th April 1943, aged 26. Son of Claude and Helen Dorothy Beddoe of Knowle, Bristol; husband of Blanche Beddoe. 1311941 Sergeant Samuel James Knight, Air gunner in 35 Squadron, Royal Air Force Volunteer Reserve, died 11th April 1943, aged 22. 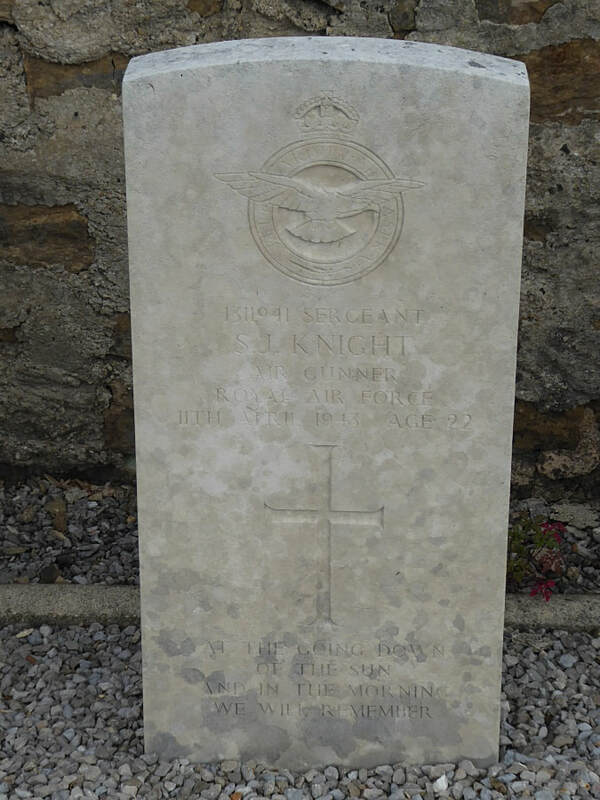 Son of Samuel Howard Knight and Gladys Mary Knight, of Dundry, Somerset. 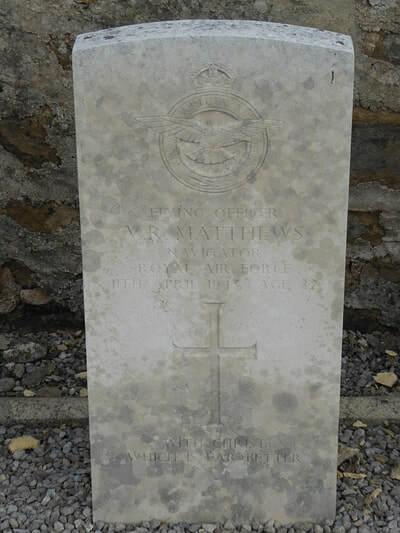 122220 Flying Officer Vernon Reginald Matthews, Navigator in 35 Squadron, Royal Air Force Volunteer Reserve, died 11th April 1943, aged 22. Son of Reginald Charles and Winifred Lilian Matthews, of Milehouse, Plymouth. 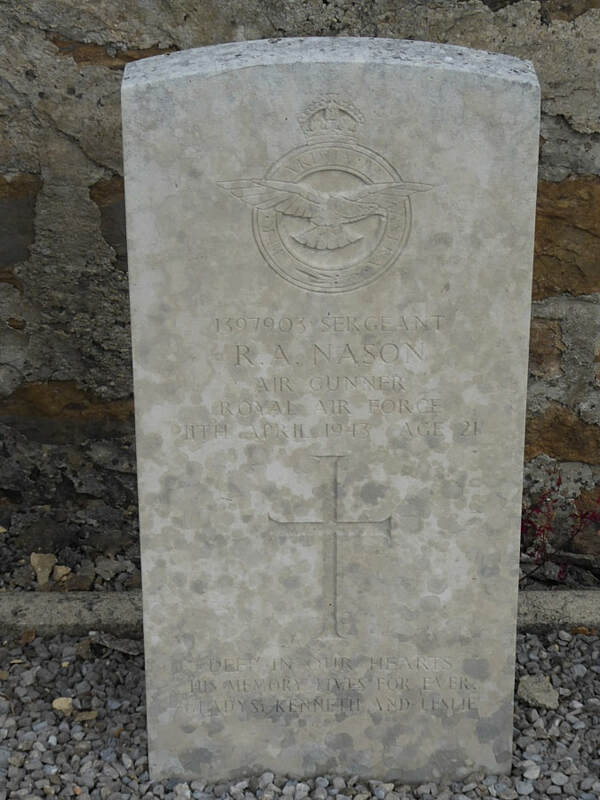 1397903 Sergeant Reginald Albert Nason, Air Gunner in 35 Squadron, Royal Air Force Volunteer Reserve, died 11th April 1943, aged 21. 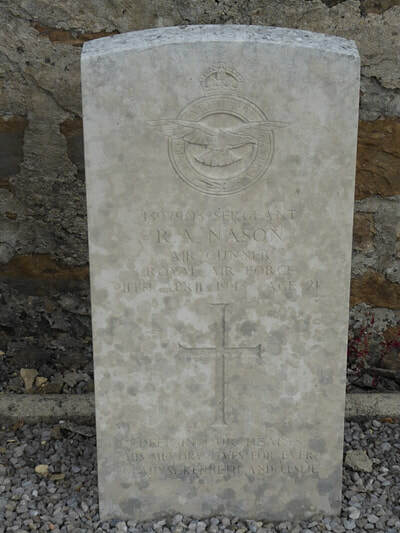 Son of William J. Nason and Maud M. Nason; husband of Gladys Ivy Nason, of Gisleham, Suffolk.